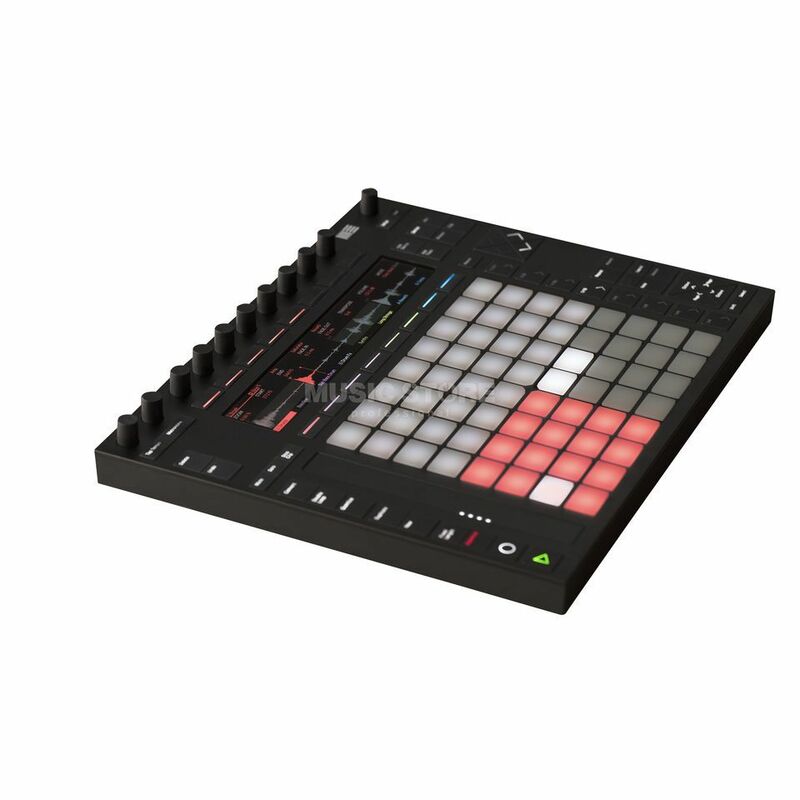 The Ableton Push 2 is a DAW controller for Ableton Live that is also usable as a hardware instrument. With the 64 touchsensitive Pads musical notes, chords, drums and drum loops could be played and additionally you got access to the loops and samples of Ableton Live if connected. The Push 2 USB controller is furthermore autonomously usable when connected with the Digital Audio Workstation Live so that you no longer need to look at your computer screen while making music - The multicolored display shows all important parameters and tracks. Moreover the controller is customizable through the possibility to adjust Velocity and parameter accents for each Pad. The Push 2 comes with 3 different modes, the Scales-, Slice- and Classic-mode, that all provide different ways of music production but all lead to the same result. The really outstanding property of the Ableton Push 2 is the range of applications that can be mastered with this hardware controller. It is excellent for stage improvise, audio recording in the studio or for homerecording applications equally and through the innovative way of music making it provides a whole new workflow. extraordinary product with magic powers! I’d owned the original Push model and loved using it, after selling I instantly regretted doing so. I looked for alternatives to use within ableton for studio and live applications. I tried the APC 40 (owned previously), launchpad and NI Maschine Jam. While Jam gave some features, it wasn’t as intuitive as using Push. Push 2 is beyond what I expected. The workflow has been improved, loading VSTs directly now is ideal. I purchased this to use alongside Ableton Live and it allows you to do so much away from the confines of the computer. It isn't necessarily foolproof, but there are loads of tutorial videos available on the web. It is a truly inspirational tool. Amazing pad feel, far superior to Push 1. Control layout and navigation is excellent, and of course the screen with parameter display takes things to a whole other level. Had the Push 1 and it was somehow a bit lacking so I found myself using it rarely but NOW I would consider it worthy of being called an instrument. Can't keep my hands off it when working with Live these days.